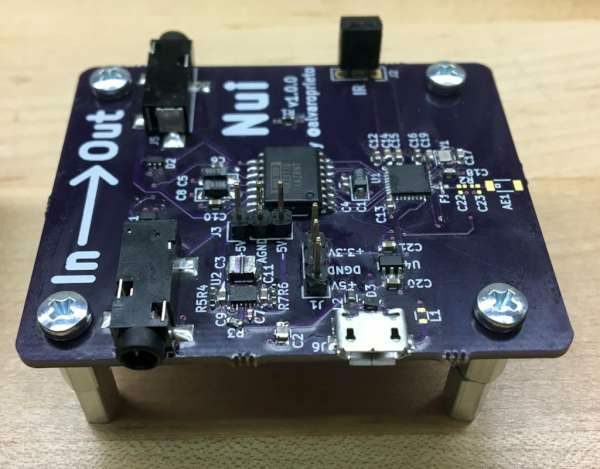 This entry was posted on Tuesday, April 10th, 2018 at 11:31 pm	and is filed under Arduino, infrared. You can follow any responses to this entry through the RSS 2.0 feed. You can skip to the end and leave a response. Pinging is currently not allowed. I would like to see two things added to this (eventually):  AGC – We HATE media that BLASTS us with high-level audio for commercials (yeah, I’m in Asia where this is SOP). Mute with soft attack and decay. Both features should be fairly easy to add using the relatively powerful Teensy uC in a sample-condition-detect feedback loop (for AGC), and a LUT for mute attack-decay shaping. No additional components should be required for a simple AGC. Use a simple DSP approach such as moving-average filter or similar. If a bit more hardware is acceptable for AGC detection instead of more code, then a diode detector and RC LPF plus an Op-Amp may work OK. But a small smattering of code would be needed with the hardware detector/LPF.